It is the near future. European detective Saskia Brandt arrives with a foggy mind, despite a vacation, back into her office where she discovers the corpse of her receptionist. With all evidence pointing to her as the killer, Saskia is given mere hours to find a way to clear her name. This seemingly impossible task opens a door of revelation to Saskia, indicating that her identity, purpose, and past may not be what she now believes. In the meantime, academic scientist David Proctor receives a strange visiter and message from his inventor daughter drawing him back to a research site where his wife died decades prior in a bizarre explosion. Accused of that explosion, but having no memory of it, Brandt travels in flight from European agents, including Saskia. 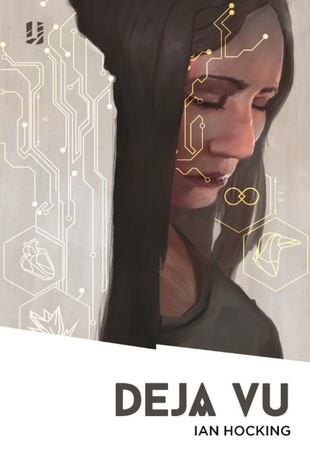 Shrouded in uncertain identity and memory, the pasts of Saskia and David mix together with their present and future in Déjà Vu, a self-described technothriller that mashes up science fiction and crime thriller genre tropes. The opening chapters of the novel caught my attention, and Saskia Brandt and her predicament in this book regarding her identity and uncertain past hold a great deal of potential. The shift in narrative to Proctor was therefore a bit jarring, for the remainder of the novel remained on this protagonist. This is especially unfortunate because he isn’t a particularly fascinating or likable character. Also it ends up negating the potential of Saskia, who the series is named after. The female protagonist ends up never having any self-definition. Instead she remains something created and manipulated, within the story as much as by the writer. By the time she returns to the novel after the chapters of focus on David, her purpose becomes fully tied to David’s, and there she basically remains. Beyond disappointing with the wasted potential of a strong female character, Déjà Vu, doesn’t find any other way to significantly impress either. It is not a bad novel; it’s just rather ordinary. Nothing in the plot is particularly novel in terms of technology or twist. The mystery of how the various plot strands come together between past and future of course involves time travel, again not something new to science fiction. Here though time travel is kept to strict rules of causality, so that if something happened in the past, it will happen in the future. No exception. So, if you try to shoot Hitler to prevent him from rising to power, it won’t happen. The gun will jam. The bullet will fly off at a ninety-degree angle and hit a wall instead. Etc. This ends up effectively making a deus ex machina situation where the plot advances simply because that is how the past was written – quite literally here, by the author. There are concepts within Déjà Vu that while done in science fiction plenty of times, could be handled anew in a fresh significant way. The start of Saskia’s story had me excited that this might be the case, but unfortunately that isn’t what the novel became. Again, Déjà Vu isn’t terrible and there are nuggets of creative quality here, that even writer Ian Watson gave it praise. But with a generic plot and characters that never became captivating or profound the work just comes across as flat. Disclaimer: I received a free advanced electronic reading copy of this via NetGalley in exchange for an honest review. My review of Lucy A. Snyder’s SOFT APOCALYPSES is now up at The Skiffy and Fanty Show blog, where I’m happy to now be contributing SF/Fantasy reviews when appropriate/possible. Please do go check out their wonderful site if you are a genre fan. 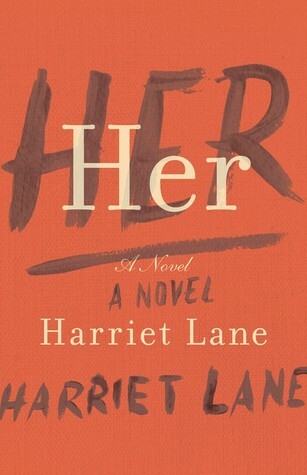 Alternating each chapter between the points of view of two women, Harriet Lane’s Her is a subtle, slow-building thriller that exudes a sense of foreboding and imminent disaster. When crises does actually drift into the plot it is easy to gloss over amid the now familiar unease of the women’s narratives. Nina is a fairly successful painter who radiates a refined elegance and control. With an older husband and aloof teenaged daughter, she seems often left alone with her own thoughts and memories. As Her opens, Nina spots Emma, a woman from Nina’s past who for reasons unknown to the reader induces a rush of nervous and fearful excitement in Nina. Increasingly obsessed with Emma, Nina manipulates events to insert herself into Emma’s life. As a young, overwhelmed mother impressed with Nina’s status and grace, Emma appreciates Nina’s presence and seeming friendship. The stalking and twisted maneuvers of Nina to gain the companionship and trust of Emma (who apparently doesn’t recognize Nina from her past as Nina does Emma) makes Her‘s slow crawl forward in plot deliciously unsettling. Only upon the novel’s close is the past relationship between the two women made clear, and all questions in the reader’s mind are addressed. With a longer work, the alternating and at times overlapping points of view of events from chapter to chapter could grow tedious, but Her is kept short, simple, and sweet. The personalities of each woman are made clear throughout, and only key events are kept from the reader to maintain a sense of mystery and intrigue in the story, and to retain that uncertainty of just what will go wrong. Her is thus a sort of psychological thriller, focusing on the twisted mind of Nina and the relative ignorance and inherent trustfulness of Emma. While it doesn’t contain much in the way of action, the pace of the novel stays quick – even with replaying scenes from Nina’s view and then Emma’s, the novel does not linger on unimportant matters but proceeds directly to the next important event in time of the two women’s’ relationship. It is a quick, easy read (as long as you pay attention to the nuances of emotion) – and Lane uses moments of levity or irony break the creepy tension or play with the reader’s expectation that now is when something bad is going to happen. Readers that want lots of action, twists, and rapid payoff will probably be frustrated by this novel, but those that appreciate a quiet little understated horror, Her is masterful. Disclaimer: I received a free electronic reading copy of this from Little, Brown & Company via Goodreads’ First-reads giveaway program in exchange for an honest review. 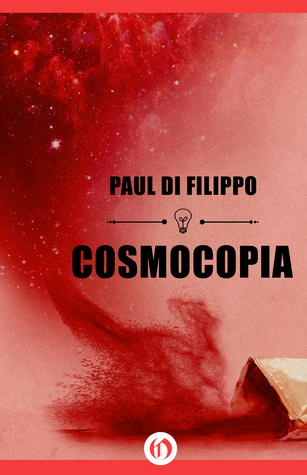 In Paul Di Filippo’s review column in last month’s issue of Asimov’s Science Fiction Magazine he mentioned his novella Cosmocopia as an example of ‘posthumous fantasy’, a subgenre description that I hadn’t heard before, though I have certainly read. Stephen R. Donaldson’s Chronicles of Thomas Covenant come to mind. With the novella length, Di Filippo effectively focuses his exploration into a few basic themes that the genre can embody. Frank Lazorg is a former talented fantasy illustrator whose artistic productivity and physical vitality have vanished from a stroke in his old age. His desire to achieve one last glorious creation prior to death seem within grasp, however, when a friends sends him a pigment extract for his paints that turns out to also be a potent, reinvigorating drug. Unable to resist the potential it provides, Lazorg takes the addictive, mind-altering drug. Augmenting the emotional turmoil of his past memories, and the fragility of his present, the drug pushes Lazorg into madness and tragic violence that ends up shattering his reality. Lazorg awakes, perhaps transferred, perhaps reborn, in a place familiar yet bizarrely different in biology and physics, perhaps with another chance at life. The characters and the behavior of physical reality in the universe where Lazorg finds himself are vividly, imaginatively written by Di Filippo. Lazorg is forced to discover this familiar – though foreign – world along with the reader, and stumbling through his new life as he attempts to discover and outlet for his talents and rekindle the artistic creation he yearns for. And the reader begins to increasingly sympathize with Lazorg, who despite his monstrous actions, you want to see find personal redemption in his new lease on life. Despite his mistakes and selfishness, you see the touching love and devotion of those he now finds himself among, and how that has the potential at least to change him into something redeemed. At the core, Di Filippo uses this posthumous fantasy set-up to explore those basic issues of life and death: Where do we go when we die? Is there an afterlife? Are we reborn? Are there other universes out there? Do we migrate life after life, closer and closer to some ultimate meaning, to a cosmic truth? Is there someone in control and if so do they deserve our respect, or our ire? This novella isn’t about answering any of those questions, it is just about providing a weird journey that addresses some of these in a narrative to get you thinking about them. I don’t want to say too much about what happens to Lazorg in his new environment, or where he goes from there. I don’t want to reveal what the new world appears to be, because that would ruin the fun of reading this, or of coming up with your own interpretations. I personally found the ending to be perfect, perfectly ironic. If you missed out on this when it was first released as I had, I do recommend picking up this newly available ebook version to discover this. Disclaimer: I received a free advanced electronic reading copy of this from Open Road Media via NetGalley in exchange for an honest review. Coming across this superb collection I had only ever heard of Leslie Marmon Silko (for her well-known novel Ceremony) and Sherman Alexie (who is the only one here I’ve previously read. I am a fan of Alexie’s work, not because he is a Native American or because that is what he writes about, but simply because of his relevance, strong voice, and enjoyable stories. Yet, when ‘contemporary Native American writer’ comes to mind, it is him I think of. He, and his work, become defined in my mind as some kind of representative context. When I saw this title available on NetGalley I immediately considered it a possibility to discover other Native American writers with viewpoints and voices distinct from Alexie’s. His “War Dances”, included here, I had previously read and enjoyed, and reading it again in the context of these companion stories was particularly enlightening. The first stories included stretch the definition of ‘contemporary’ in terms of their date of composition. Reading them, however, shows that the themes addressed therein have remained relevant today. From the start the stories in this collection address the question of cultural and personal identity. “A Red Girl’s Reasoning” for instance addresses the difficulties inherent in cross-cultural marriage, a mixture here of physical race and of tradition, including those religious. Pauline Johnson’s poignant tale of a determined, proud woman is a fantastic start for the collection, showing that the issues raised through these stories regarding identity and societal classifications is not only inherent to Native Americans, but to those of other minority status or those trying to exist in mixed, sometimes clashing cultures. The thread of these issues continues throughout the stories (and time) here, bookended with Alexie’s “War Dances” where confusion over identity and shared characteristics between different minority groups is given voice in difficulty distinguishing Native American from Hispanic. The voices and points of view vary throughout the collection – and even include the question of Native American identity through the eyes of a white narrator in McNickle’s “Train Time”. Forbes story stuck out to me as the most similar to Alexie’s voice with a mixture of depressing honesty and joyous laughter at the absurd. I’m reminded that I really need to read more of Silko’s work (Ceremony is also discussed in detail in a fascinating work on Race in Science Fiction that I’ve just read). And several of the authors here I’ll have to look up to try to find more from them if possible, particularly Piatote and Bruchac, whose stories stuck in my mind with their quiet power. That idea of ‘quiet power’ is present throughout the collection, there is a rage and frustration building beneath the characters in the stories as they struggle to define their identity and place, to keep a part of themselves in a world that holds them either in disdain or disregard. “Borders”, describing the attempts of an elderly Native American woman to cross between the United States and Canada while still holding onto self-declaration as a citizen of a tribe and people rather than either of these modern nations, takes this issue and makes it literal. In one aspect the collection was a surprise to me. I started it thinking that it would contain stories about Native American culture, that I would learn more about particular tribes and their traditions. Instead, the stories here are about Native American culture in existence within the European – in relation to something else, rather than the identity they have unto their own. I imagine that such are the struggles of being Native American and what is going to be present in any honest contemporary Native American writer’s work. I can never fully understand being Native American because that’s just not what I am. But I find it a horrible and lamentable reality that perhaps even Native Americans can’t really achieve it, for does that identity even still exist? It makes me feel a bit rage-filled, and perhaps that is the point and an indication of how effective and truly great these short stories are. 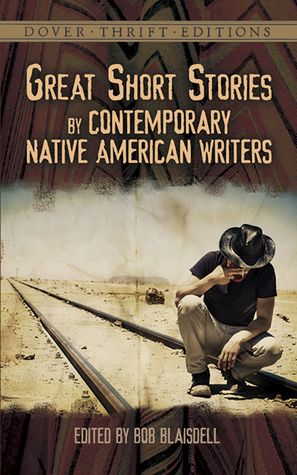 GREAT SHORT STORIES BY CONTEMPORARY NATIVE AMERICAN WRITERS is an outstanding collection, and at such an affordable price as this thrift edition offers, it is something that anyone interested in short fiction or in aspects of cultural identity should pick up. Disclaimer: I received a free electronic reading copy of this from Dover Publications via NetGalley in exchange for an honest review. Tragedy strikes a small town when a plane accidentally crashes into a crowd of air show spectators. Among the casualties is a boy named Wash who is found amid the wreckage seriously injured, bloody and torn, by his best friend Ava. Distraught and panicked, Ava lays her hands upon Wash and they both witness his wounds miraculously heal. The existence of Ava’s power does not stay secret, but the healing results of using that power do not come without exacting a brutal price upon her. As others flock to the town to seek Ava’s aid, or to perhaps exploit and control her for their own goals, Ava and her single father, along with Wash and the grandmother who raises him must deal with these outside forces as well as new personal discoveries. When I requested an advanced reading copy of this through NetGalley a part of me worried that the publisher would consider my thoughts on Jason Mott’s last book, The Returned, and refuse me. Though popular and spawning a television show, that novel left me feeling disappointed. The biggest factors in that reaction were its ending, which I found bordering on cartoonish, and the dilution of its focus across too wide a range of stories/points of view. But aspects of The Returned still impressed me and I was more than willing to try another of Mott’s novels (or I wouldn’t have made the request). With The Wonder of All Things Mott avoids both of the above problems as I saw them and writes a touching story with compelling characters that flows sharply in readability and tone. 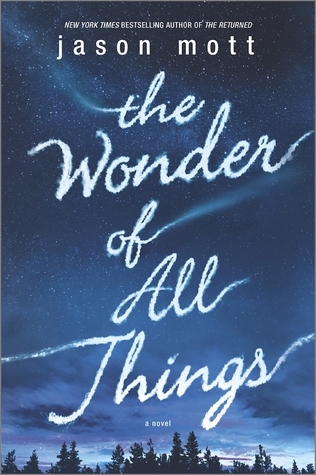 The thematic set up for The Wonder of All Things is familiar to those who have read Mott – a sudden, unanticipated event that magically alters a normal causal relationship between life and death. The mysterious event (or in this case power) engenders a bit of awe, reverence, hope, and fear simultaneously in people; how they respond and deal with the newfound situation or power becomes the novel’s central focus. Very effectively here, Mott puts the brunt of this focus directly on Ava and Wash and to their guardians. Other characters also react in unique ways to Ava’s power and its implications, but their decisions and actions all filter back to those protagonists, rather than being dispersed through multiple protagonists as in his previous novel. Ava’s magical powers to heal are straightforward and Mott takes this simple ‘what if?’ scenario and proceeds to deeply investigate its impact on the young girl and those closest to her. Mott writes his children characters most vividly, endearing them to the reader and investing them in their struggles, in particular to Ava’s desire to help those she cares about around her, but on her own terms. Overall the adult characters seem less solid, present each as more of a narrative impetus for Ava’s character. The primary exception to this is Ava’s mother, who died prior to the start of the novel and is present through flashbacks of Ava’s childhood and her mother’s early realization of Ava’s healing powers and the price it exacted. Ava’s mother is a fascinating character, strong and loving yet weakened by bouts of serious depression. The parallels that Mott draws between physical and mental health are important and Mott effectively unites the past and present of the novel through the comparisons between Ava’s loving mother and others in really understanding the consequences and power of Ava’s gift/curse. Those who enjoyed The Return should also appreciate The Wonder of All Things, but those on the fence could find this an enjoyable and worthwhile read. Disclaimer: I received a free advanced electronic reading copy of this from Harlequin Mira via NetGalley in exchange for an honest review.